The Human Resource Development Center for the 21st Century Da Vinci Project of SeoulTech (President: Kim Jong-ho) set up booths at the 2018 Korea Electronics Show held from October 24th to 27th at the COEX. Achievements from the ADBL program in fields including mechanical system design engineering and electrical information engineering were exhibited. 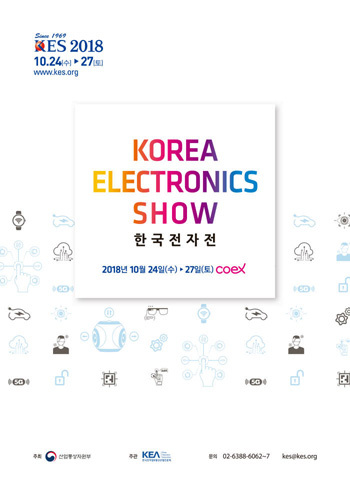 The 2018 Korea Electronics Show, jointly hosted by the Korea Electronics Information & Telecommunication Industry Promotion Association, the Korea Semiconductor Industry Association, and the Korea Display Industry Association, attracted 1,922 booths from 729 domestic and foreign companies. The latest Fourth Industrial Revolution products and technologies in areas such as artificial intelligence (AI), IoT, VR and AR, automobile and IT convergence, semiconductors, and displays were showcased. 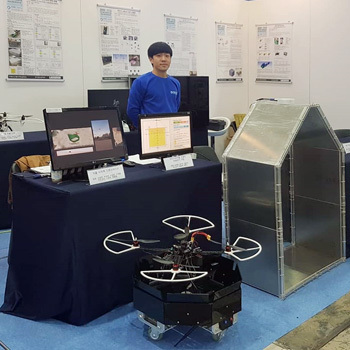 SeoulTech students presented prototype products they had developed by conducting research in autonomous navigation, drones, and robotics. Outstanding works from the ADBL program were exhibited. The exhibition gave attendees a glimpse into future sciences. 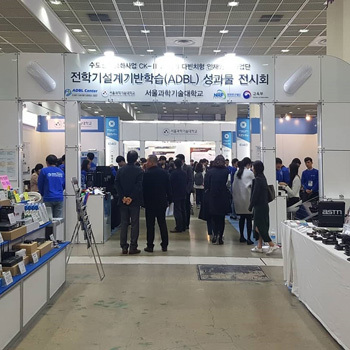 SeoulTech participated in the Korea Electronics Show to promote the institute’s departments to the general public as well as to industry personnel. Approximately 53 projects, 24 research papers, and 250 undergraduates from SeoulTech were featured in this year's exhibition. 4) SeoulTech has been adopting the ADBL program in its undergraduate curricula, and is pioneering a new model of engineering education in Korea. ADBL is a new learning method where design topics are set in the lower grades, and projects relevant to the respective topics are realized step by step until graduation. The trending phrase at the Korea Electronics Show was “Fourth Industrial Revolution.” Samsung Electronics, LG Electronics, and other small and medium-sized companies, as well as venture companies, participated in the exhibition. They showcased products incorporating fourth industrial revolution technology such as artificial intelligence, object internet (IoT), and virtual reality. The Korea Electronics Show was hosted simultaneously with the Semiconductor Exhibition and the Korea Display Industry Exhibition. Attendees were able to enjoy all three fairs with one ticket.